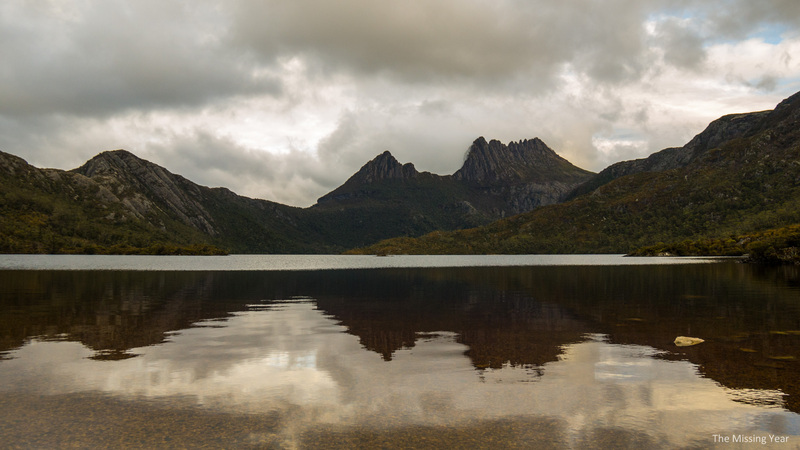 I made it to Dove Lake once again…and things were looking a bit better! 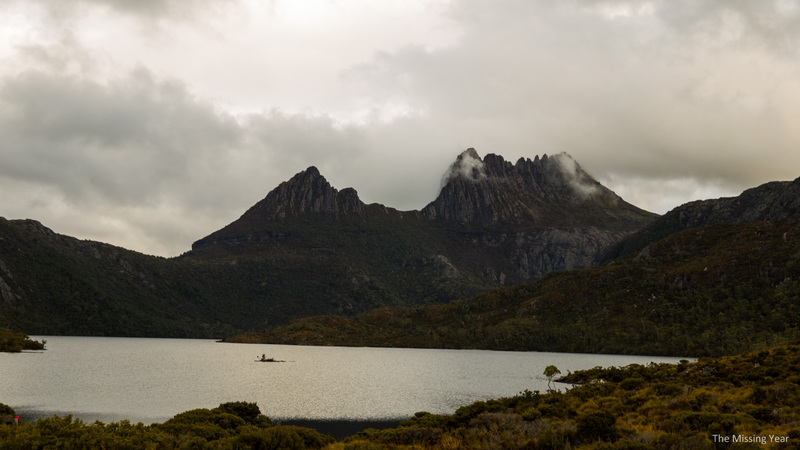 Okay, so Cradle Mountain itself was still covered, but the clouds were giving peaks of blue sky today so I had some hope. 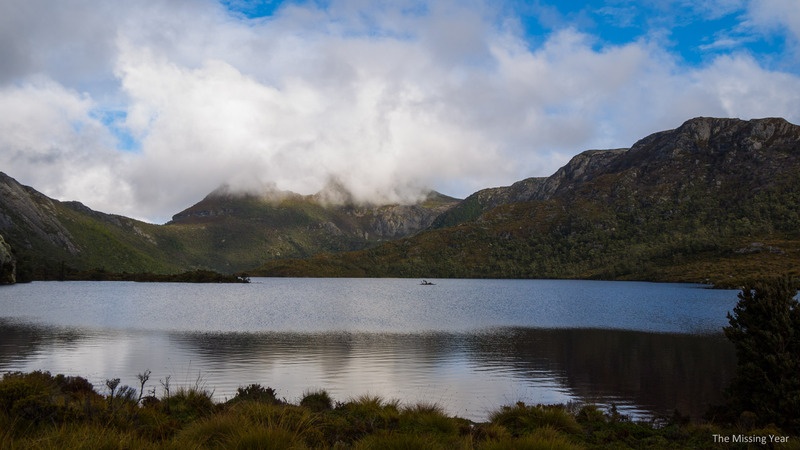 I decided to commit myself to the most popular hike in the region: the Dove Lake circuit. 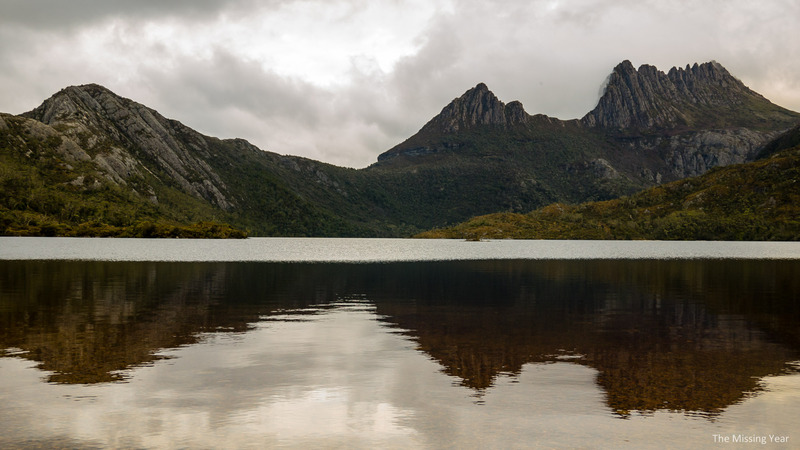 Not surprisingly, Cradle Mountain features heavily during the hike. 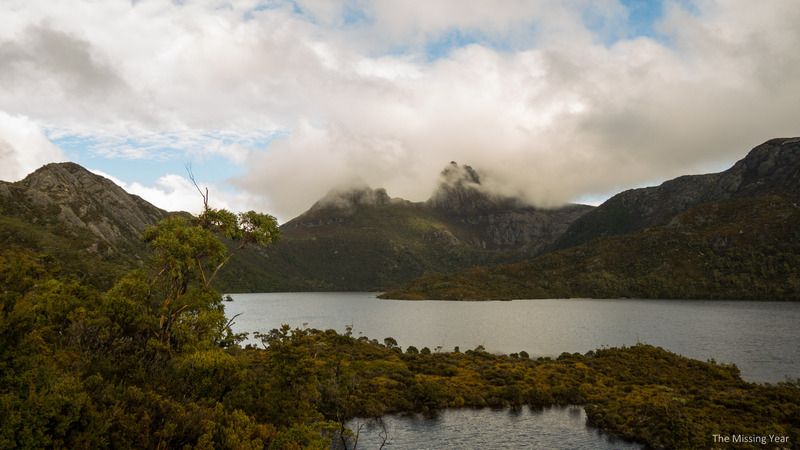 The hike goes all the way around Dove Lake and gives numerous vantage points to view the mountain and peaks…if only they would come out from behind the clouds! 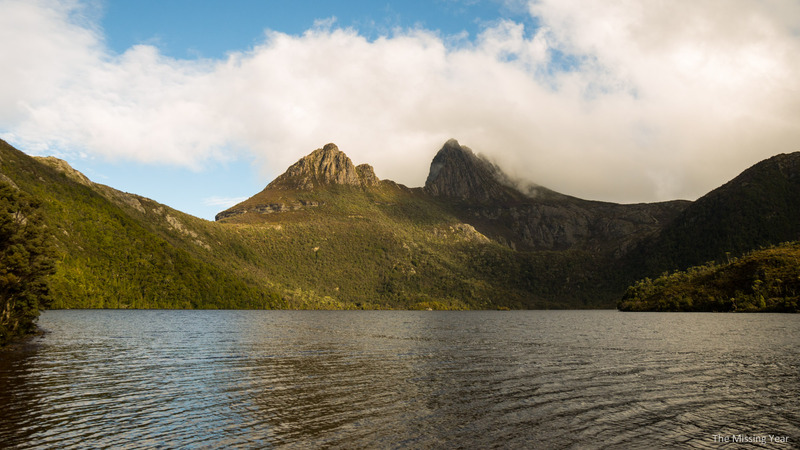 Gradually the perspective changes as I get closer to being directly below Cradle Mountain itself. 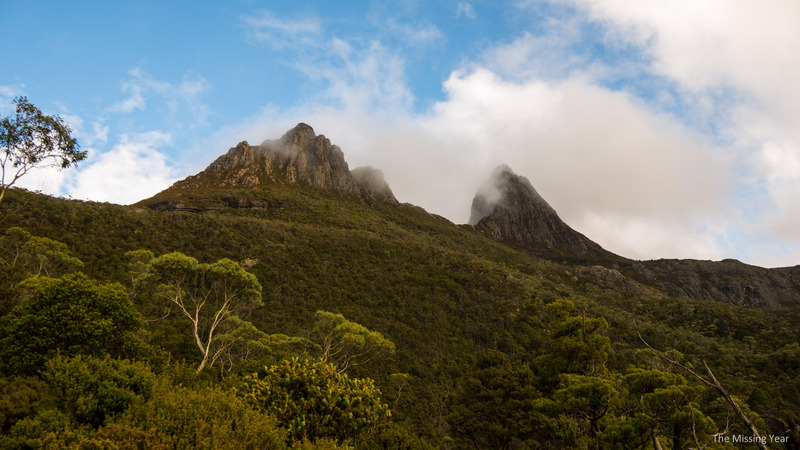 You can hike Cradle Mountain to it’s peak, but I wouldn’t want to do it in anything other than a clear day…I’ve summited peaks too often to know the frustration of being stuck in the clouds and seeing nothing! The track itself is well worn and laid out. During the summer, this track would be filled with tourists. Being winter time there were very few souls tackling the circuit today. The weather may have had something to do with that, at only a few degrees above freezing. 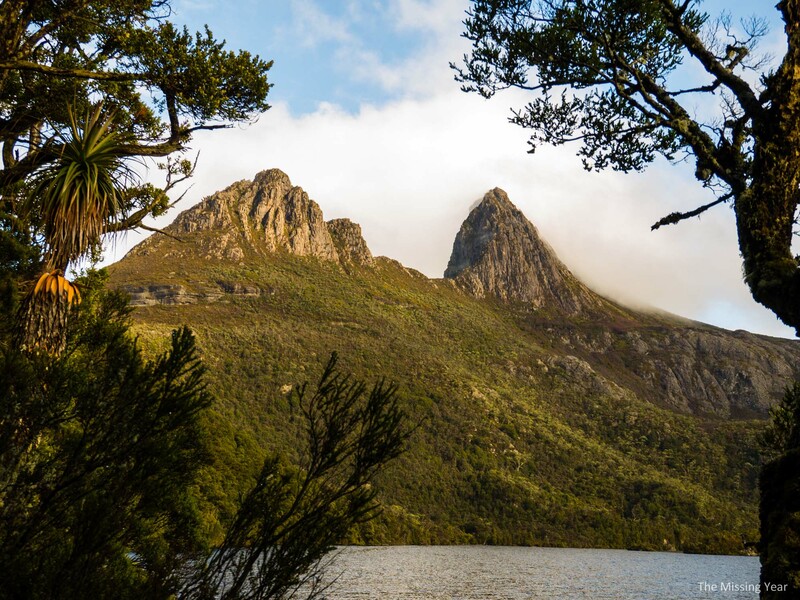 The lovely view from below Cradle Mountain. The clouds continued to be stubborn. Looking back to the lake and the way I’d walked so far. The trail is easy, hugging the lake’s shore most of the way. Very little ascending or descending to worry about. 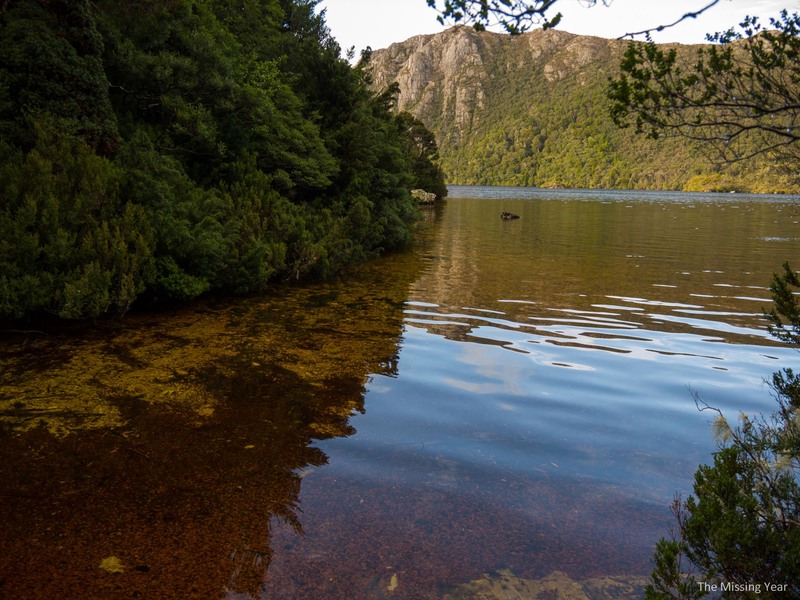 The waters of Dove Lake are crystal clear, with the bottom easily visible. Oh, and it’s also freezing cold. 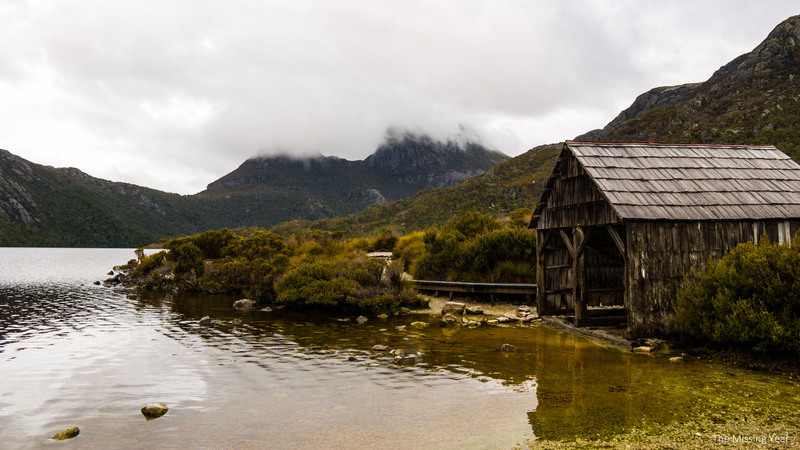 I finished up the walk after a couple of hours back near the start point and took a picture from probably the most ‘iconic’ spot for Cradle Mountain pictures, with the ancient boathouse in the frame. The clouds at this point had thickened and reduced my hopes. 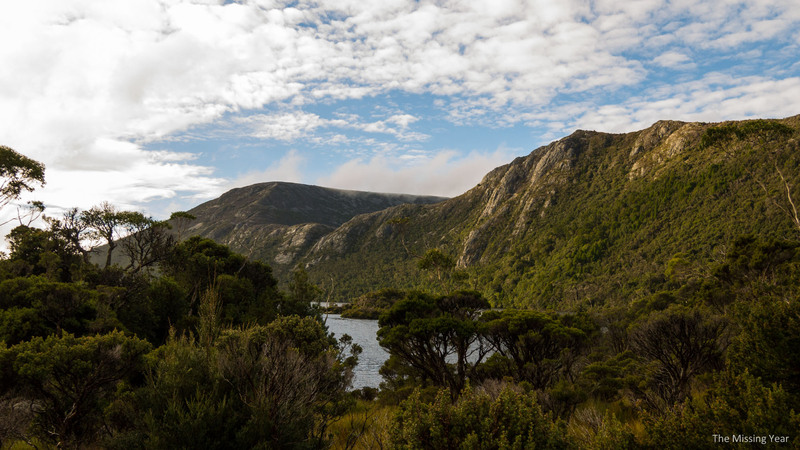 Just as I was heading back up through the carpark to the shuttle pick up…I looked back to see the clouds begin to rise off of Cradle Mountain! You couldn’t tell from the previous pictures, but the mountain itself isn’t a single peak, but a series of peaks like a spine. 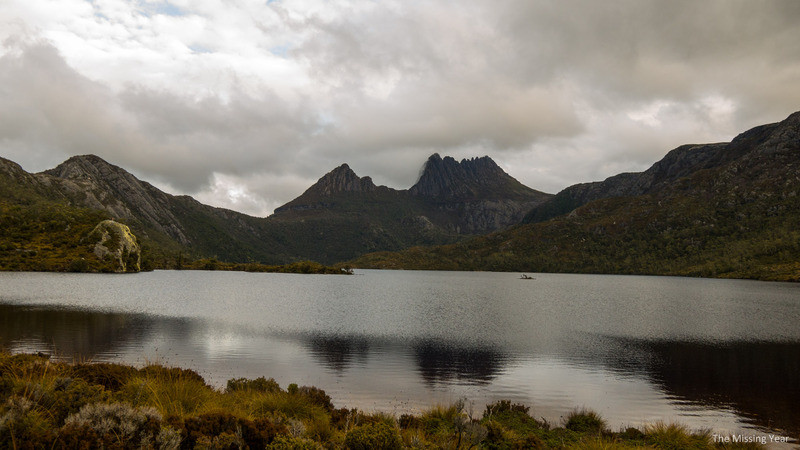 I even hiked a part of the Dove Lake trail a second time, quickly, to get a few extra snaps of the exposed peaks. 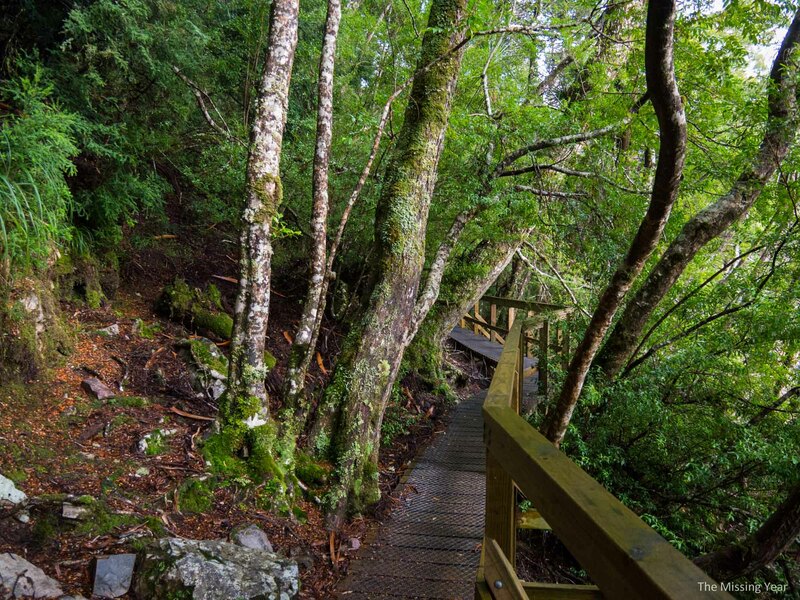 This entry was posted in Australia, Tasmania, Travel by Colin. Bookmark the permalink.